This American fast food classic has received a fair deal of bad press over the years. However its somewhat tarnished reputation has been redeemed in light of all the gourmet-style burger joints that have popped up lately. 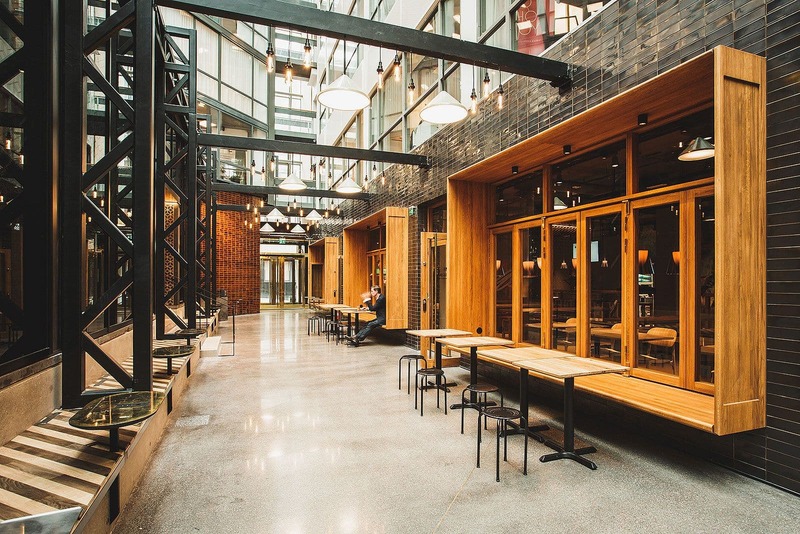 Stockholm has embraced this trend and houses an abundance of great hamburger joints, retro-chic diners and NYC-cool eateries. A juicy medium-rare burger, freshly baked brioche bread and crispy French fries washed down with a creamy milkshake - what could be better? 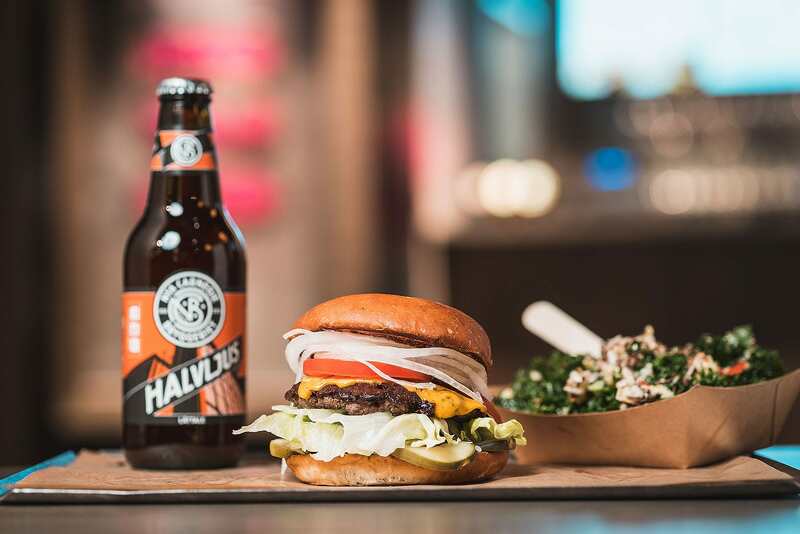 So as to help you peruse the offerings we have created this guide to the best hamburger joints in Stockholm. 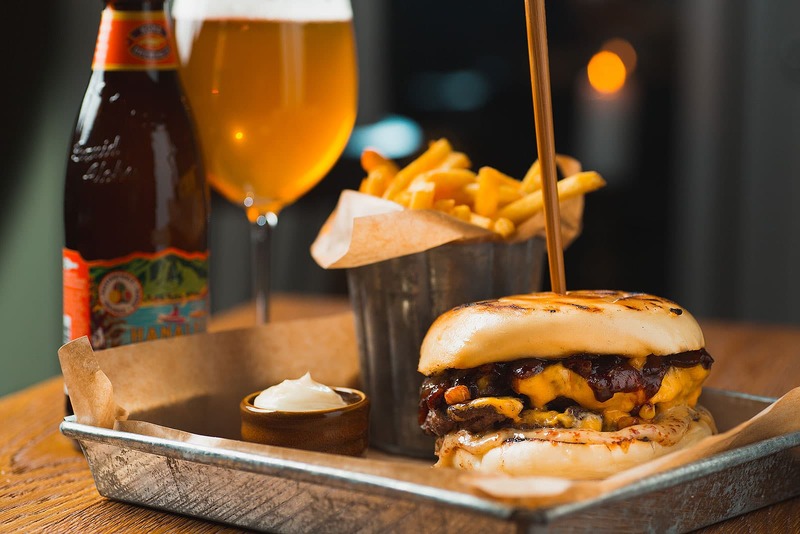 Be sure to check out our guide to restaurants in Stockholm that serve amazing hamburgers as well. 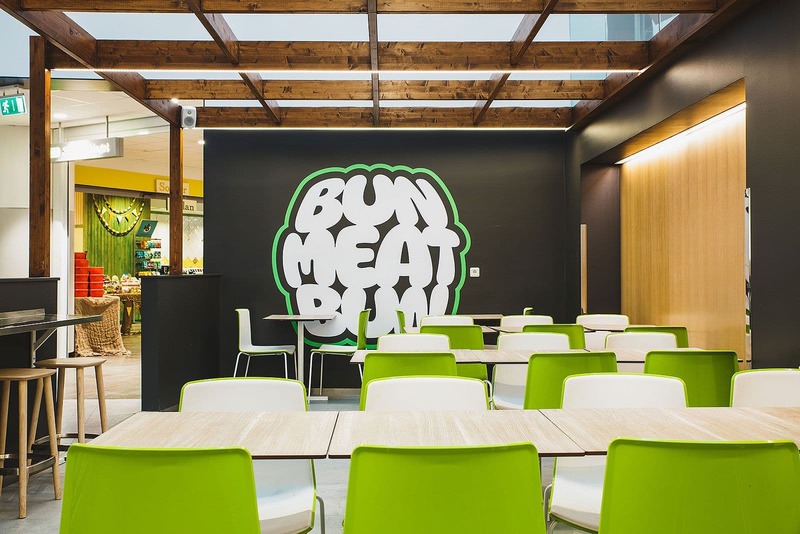 Despite its slightly desolate location, Bun Meat Bun is worth the trip, serving casual fast food. 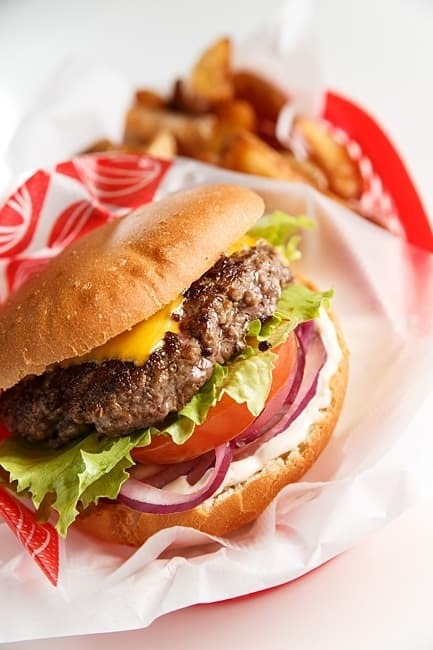 The burgers are made using a special technique; the meat is 'smashed' rather than rolled to create thinner patties with a slight crisp. This is paired with an unusually fluffy potato bread - a dreamy combo. Modernt fastfoodställe signerat krögaren Johan Jureskog från prisbelönta köttkrogen AG. Här står hållbarhet och skön mentalitet i fokus - på menyn hittas ett gäng okomplicerade gourmetburgare, bland annat paradburgaren "Highfive" med tryffelaioli, som serveras tillsammans med ekologiskt bröd och pommes friterade i talg. Flippin' Burgers is worthy of its much-hyped reputation, guests have eagerly lined up outside the premises since opening. 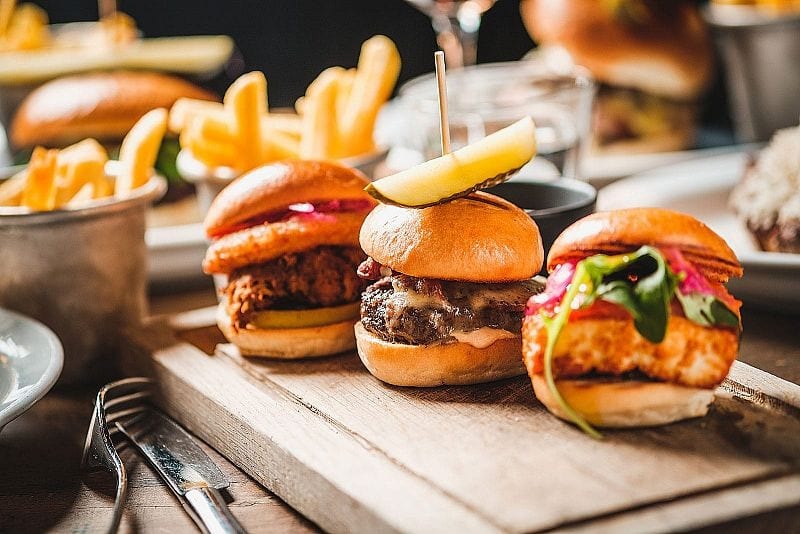 The menu is selective; offering six different burgers, including one vegetarian alternative, with freshly-baked organic buns (gluten free bread is also available) and an optional side of fries. Got a sweet tooth? 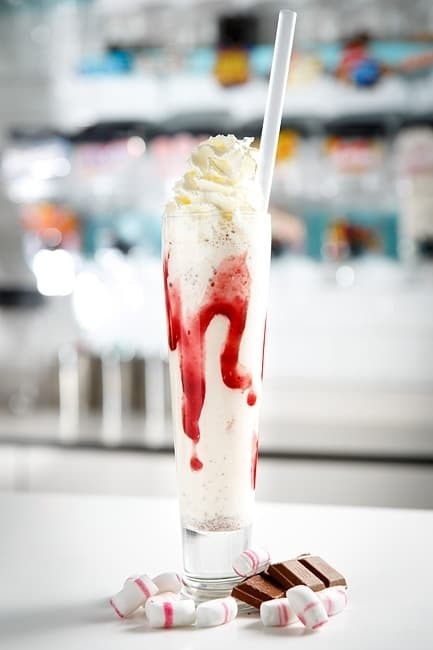 Don't miss the extensive ‘Shakes & Floats’ menu. 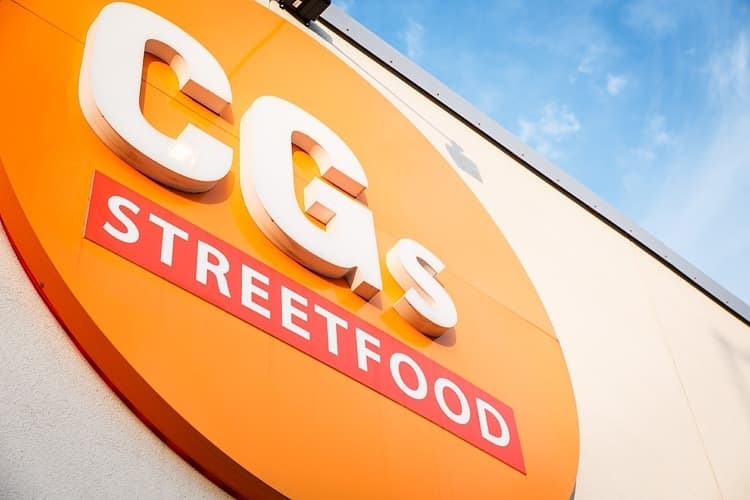 CGs is an ambitious fast food joint that is well worth a detour to the suburbs. 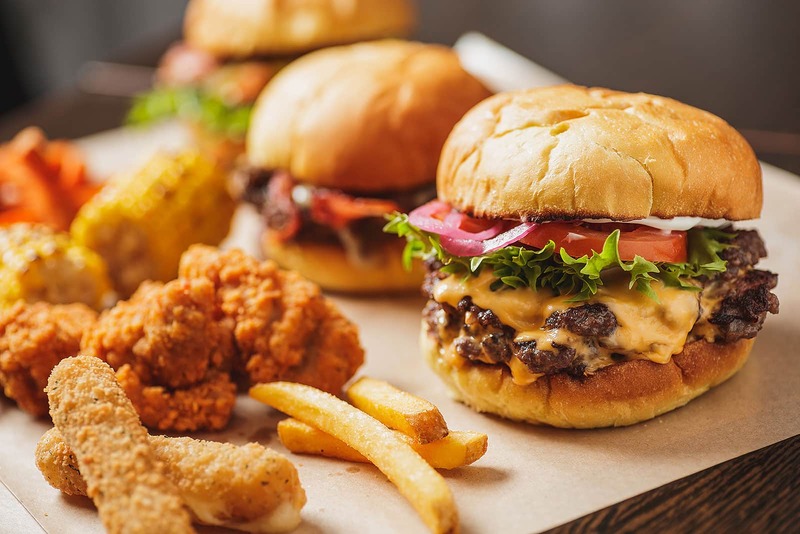 Apart from classic ground-beef burgers, the menu features fried shrimp, tuna melts and chicken wing sides as well as an extensive milkshake menu from the milkshake bar. 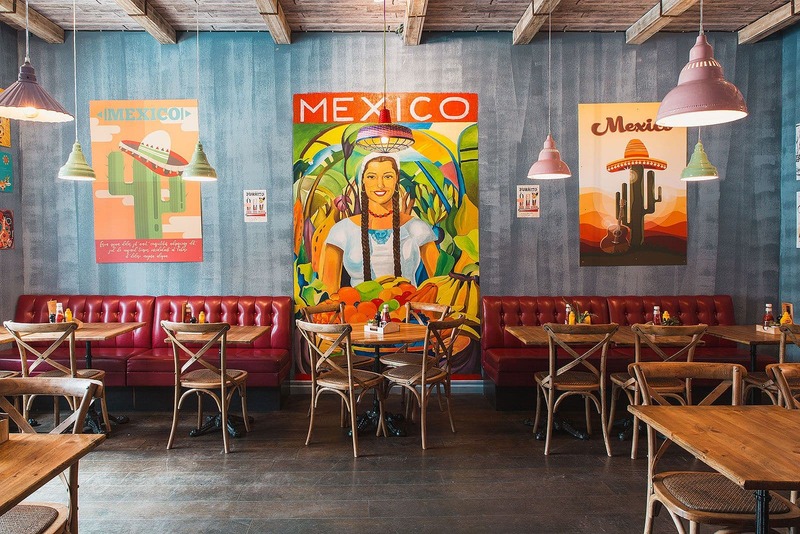 Franky's began as a street grill on Sveavägen, as successful as it was unexpected. 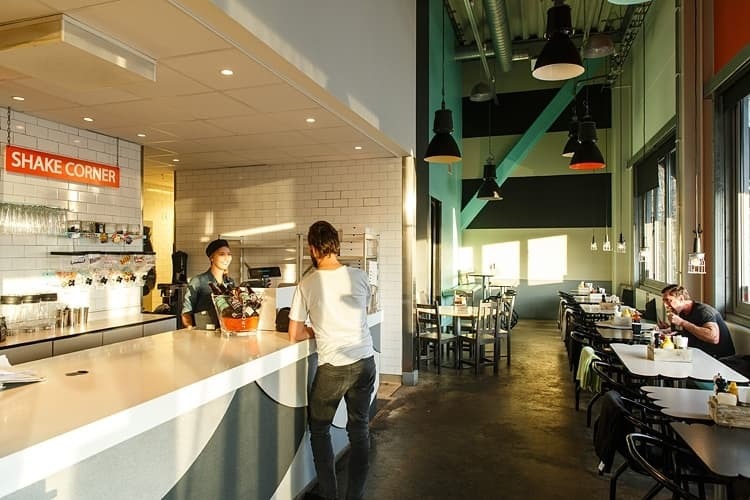 These days the restaurant can be found on Tegnérgatan, but the concept is still just the same - and just as popular. 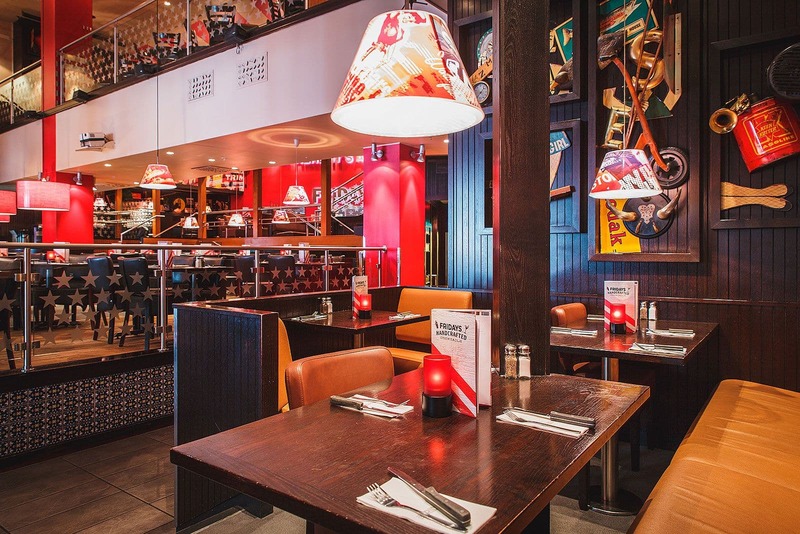 The burgers made daily from freshly-ground chuck steak are quite simply a must for die-hard burger aficionados. 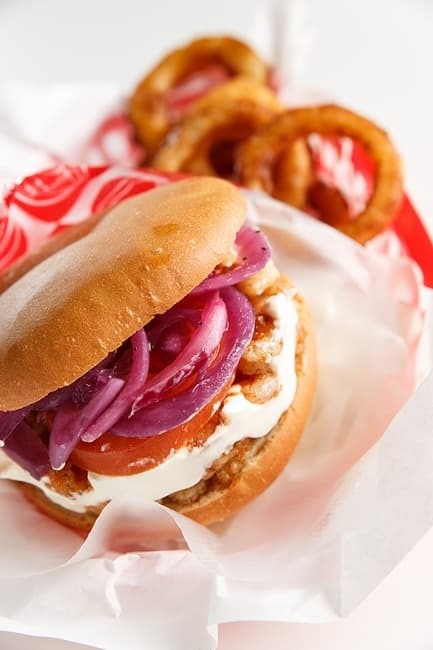 Between Sankt Eriksplan and Norrtull you'll find Hamburgarstugan, serving ambitious hamburgers to eat in or take away. 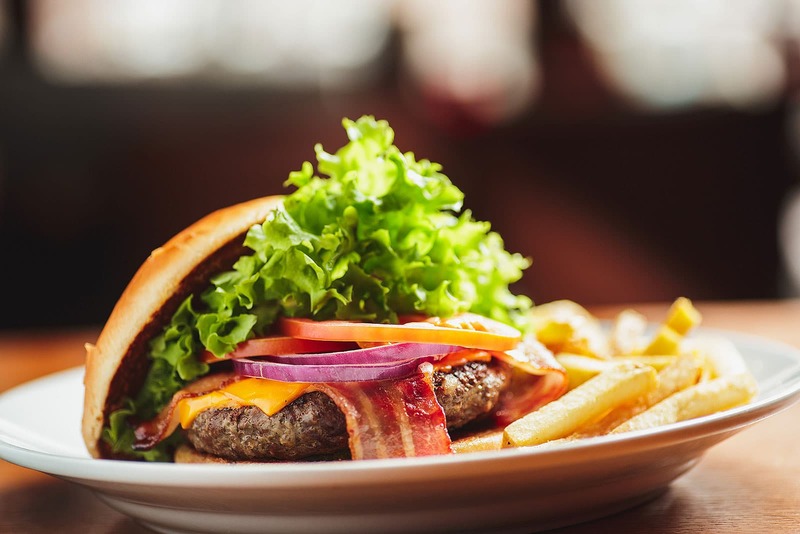 Burgers made fresh every day from prime chuck steak are their specialty and you can order them individually or as part of a meal deal including homemade dressings and fries. They also serve vegetarian and vegan burgers. 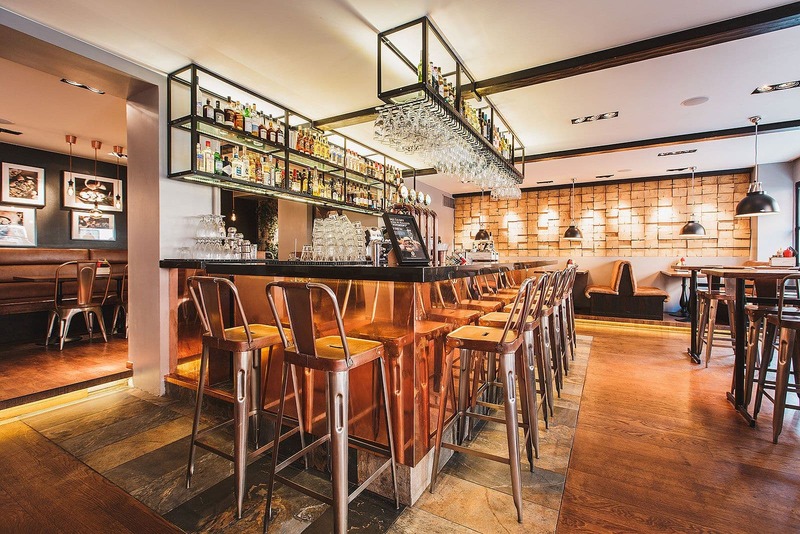 This quaint burger joint in Gamla Stan is testimony to the fool proof concept of hamburgers and artisanal beer. 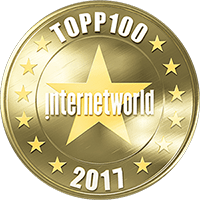 Classic and innovative versions are served to hungry guests. The meat is organic and locally sourced. 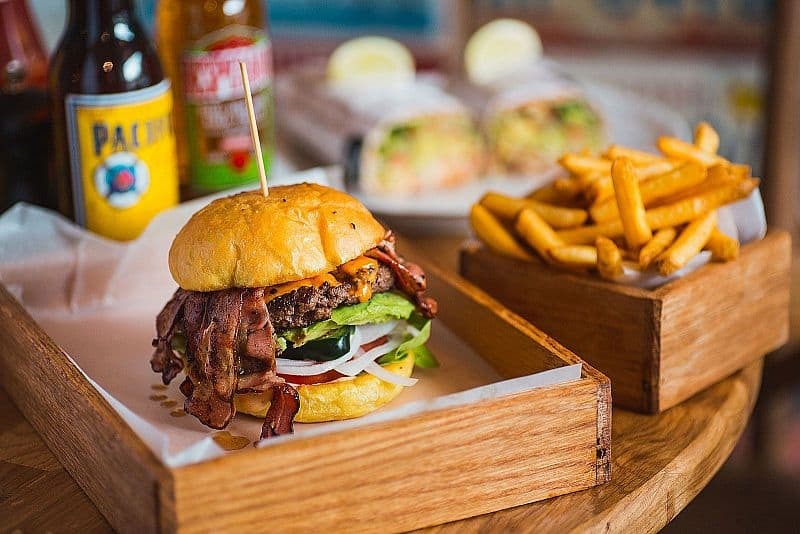 BC Burgers opened their doors in 2017 and set the ribbon high. 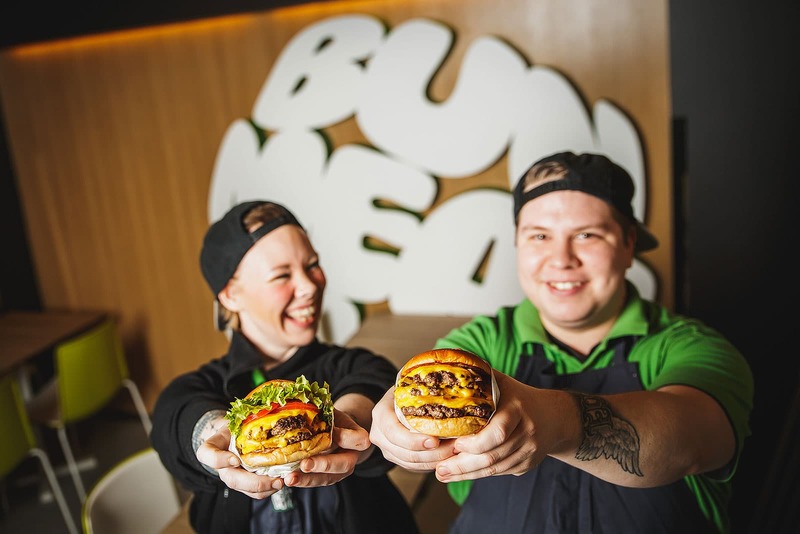 The burgers use only meat from Swedish farms and mainly seasonal Swedish vegetables, and they offer both veggie and vegan burgers as meat alternatives. 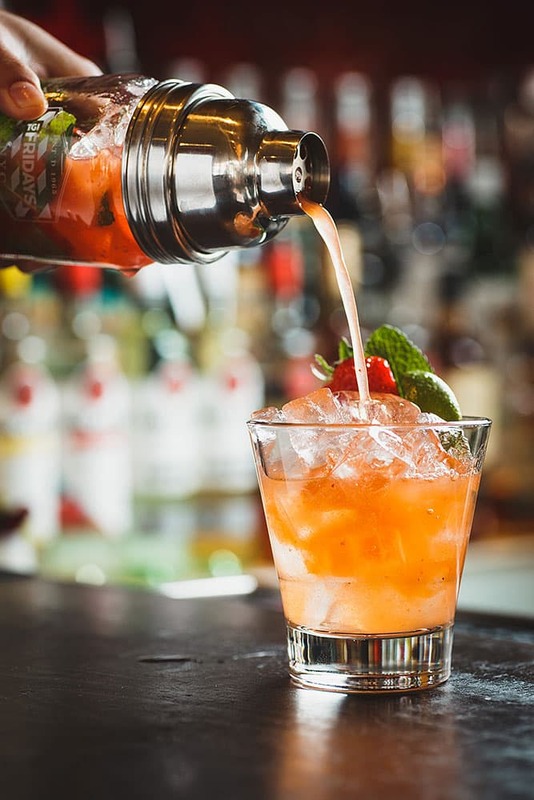 Beer, wine and cocktails are served from behind the bronze bar. If you find yourself in Alvik, you can get a seriously good burger at the fusion restaurant Poké Burger at the bottom of the Alvik tower. 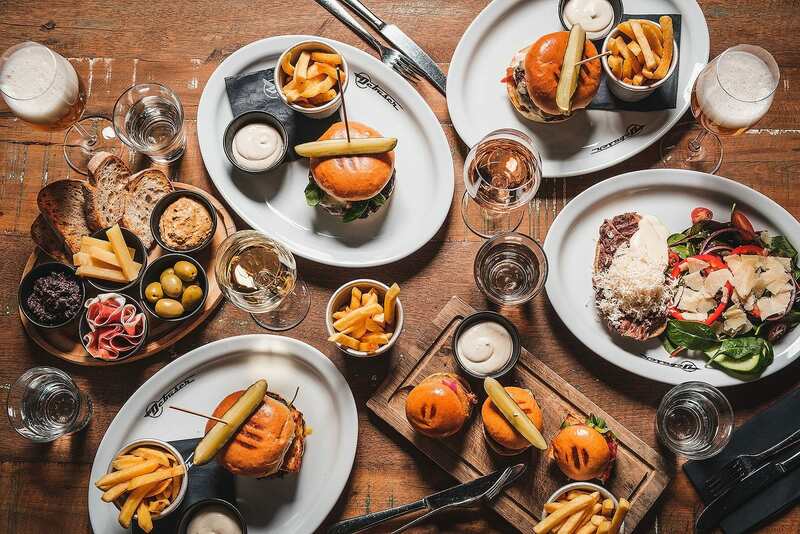 The burgers are made from ground chuck and entrecote and come in various different variations, with plenty of melted cheese and great buns. 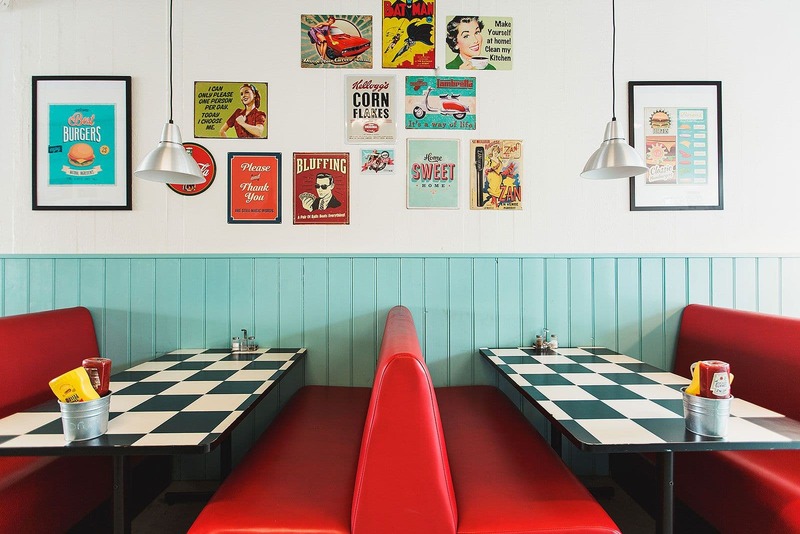 Lily's Burger is synonymous with its authentic 1950's style decor, complete with saccharine pastels and shiny leather couches. 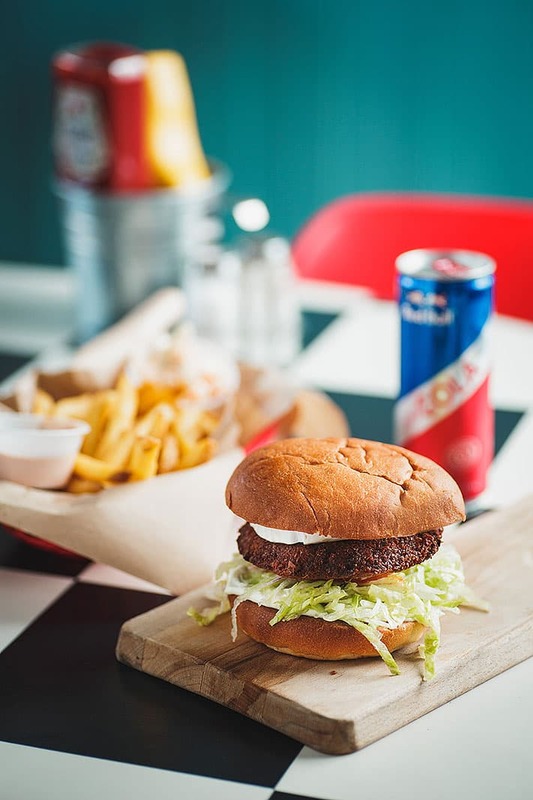 Juicy burgers, savoury chicken wings served in grease paper-lined diner baskets and creamy milkshakes are all part of its culinary repertoire. Anyone who has ever visited the border area between the US and Mexico knows that burgers and burritos divide people into two distinct camps. At The Border you'll find both options. 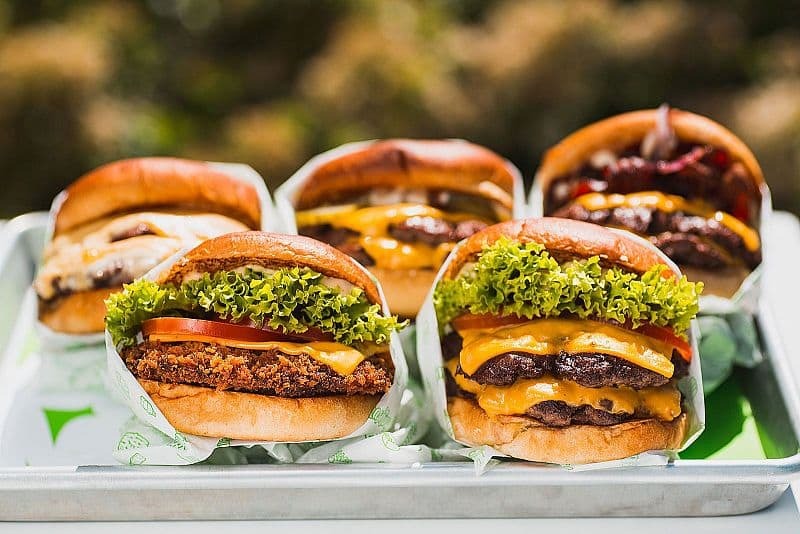 If you prefer hamburgers, there are plenty of different kinds - everything from cheeseburgers to falafel burgers - made from organic Swedish beef chuck. There's also gluten-free bread from a local bakery if you prefer. 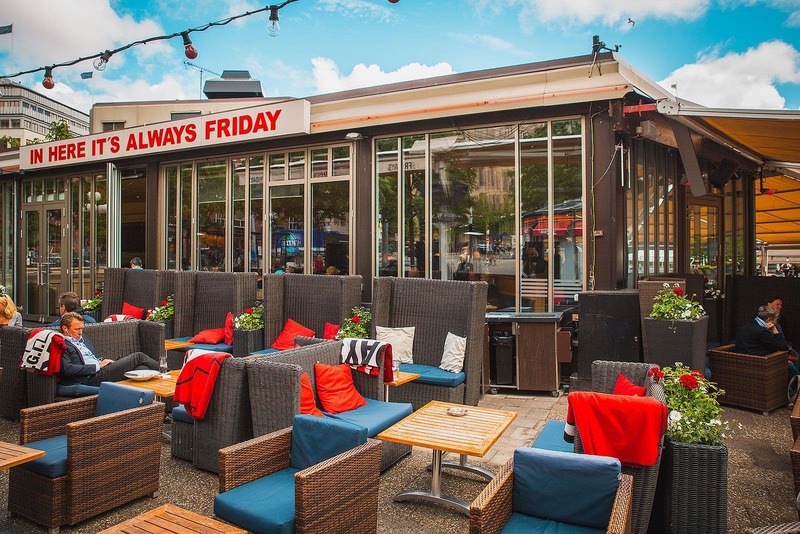 Fridays was founded in New York back in 1965 and was one of the first places to serve hamburgers in Stockholm. 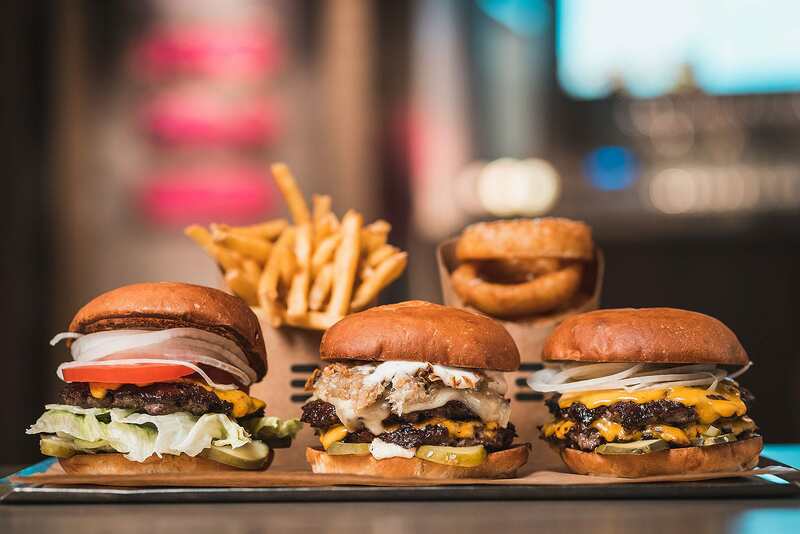 The concept is all-American through and through, and the burgers are substantial. Choose a Jack Daniels burgers, or why not a "Cowboy triple meat burger"? Gluten-free burger bread is available. 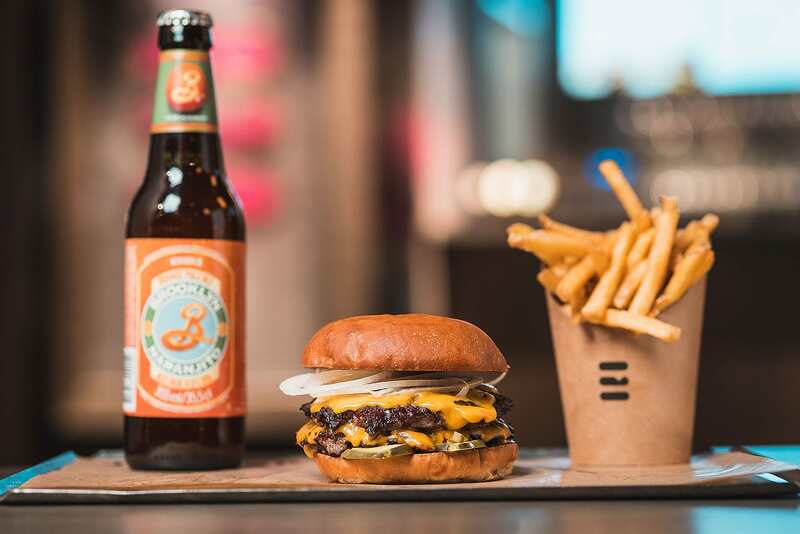 At Bar Brooklyn, right next door to their sister restaurant Debaser Strand in Hornstull, they combine deli burgers and sliders with micro-brewed beers from Sweden and the US. 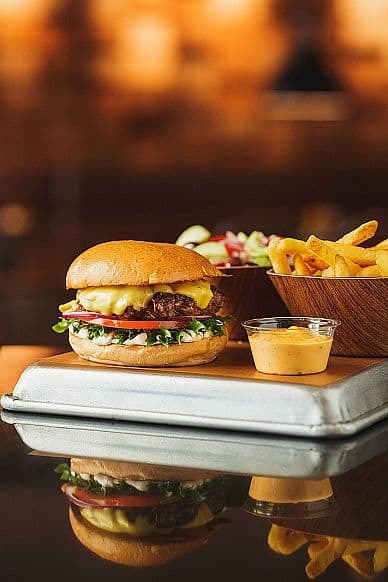 Choose from hamburgers such as "Debaser Double Chili Burger" and "Double Cal Burger" all made with organic Swedish meat. The name is pretty descriptive; this joint has tapped into the Americana fast food trend. Choose between simple ground beef burgers or pique you senses with exciting flavours. Gluten free options are available. 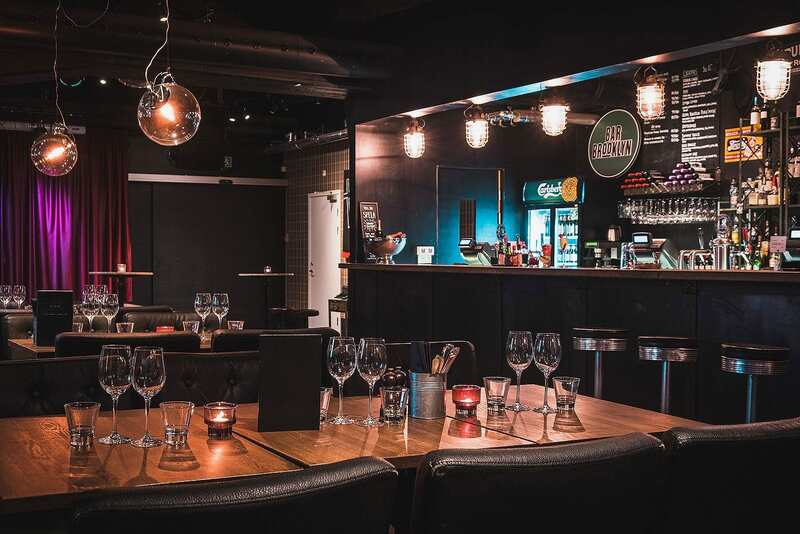 The much-hyped Babas was originally located in Kärrtorp but has now moved to Högdalen, where they serve their homemade burgers in cool retro surroundings. 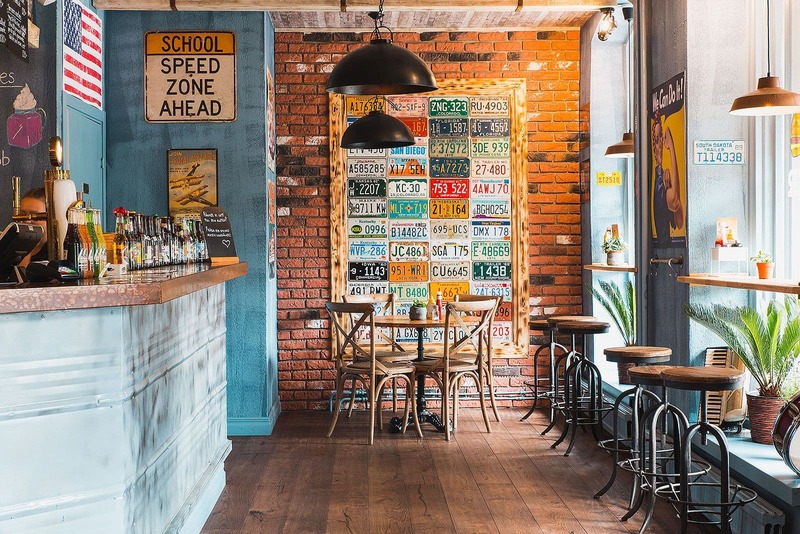 Their international influences and top-notch ingredients have made them a favourite outside the city centre, and they also have their own foodtruck on the streets. 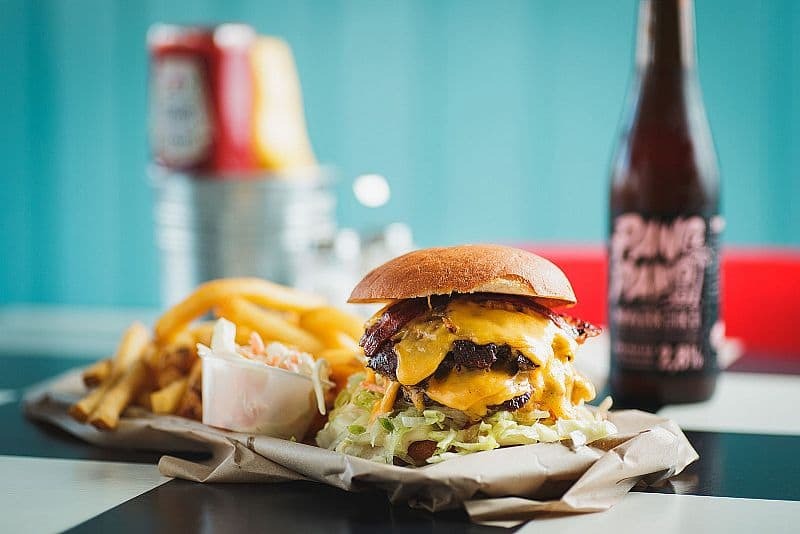 Phil's is a declaration of love to hamburgers. 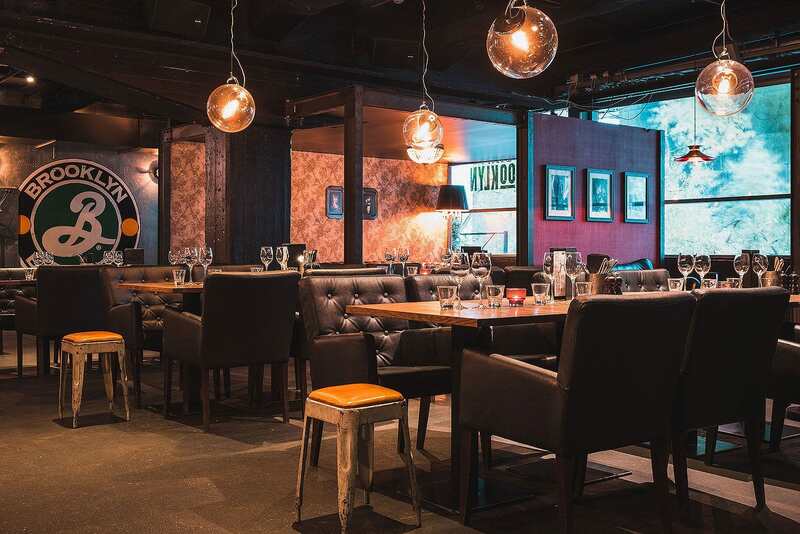 This upscale-burger joint combines industrial bistro-style sensibilities with homemade charm. Everything from the burgers, brioche bread and French fries to the ketchup and coleslaw is homemade. 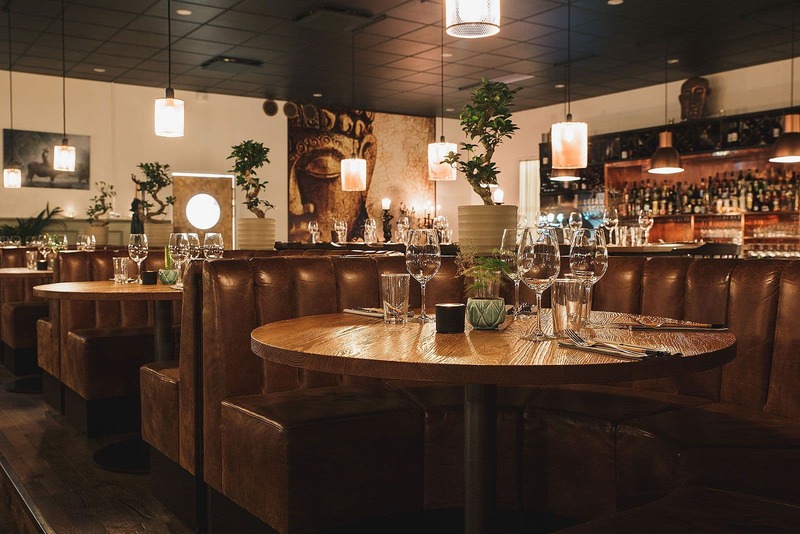 The selective menu offers vegetarian alternatives and classic milkshakes for dessert. 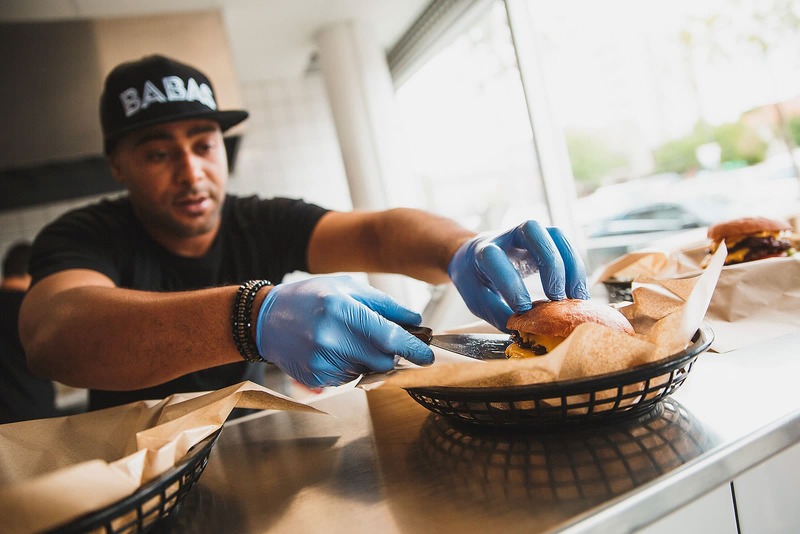 The restaurant was opened after Gnarly Burger's initial food truck success. 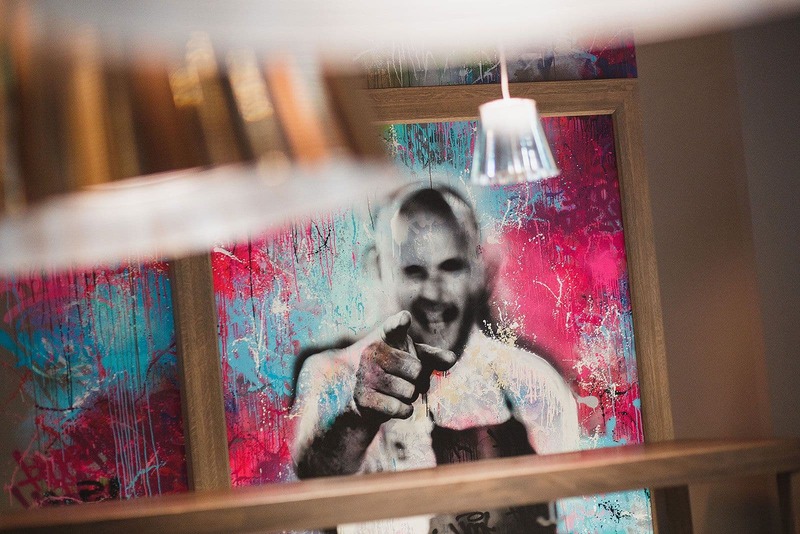 Authentic street food with emphasis on quality and the finest ingredients is served. 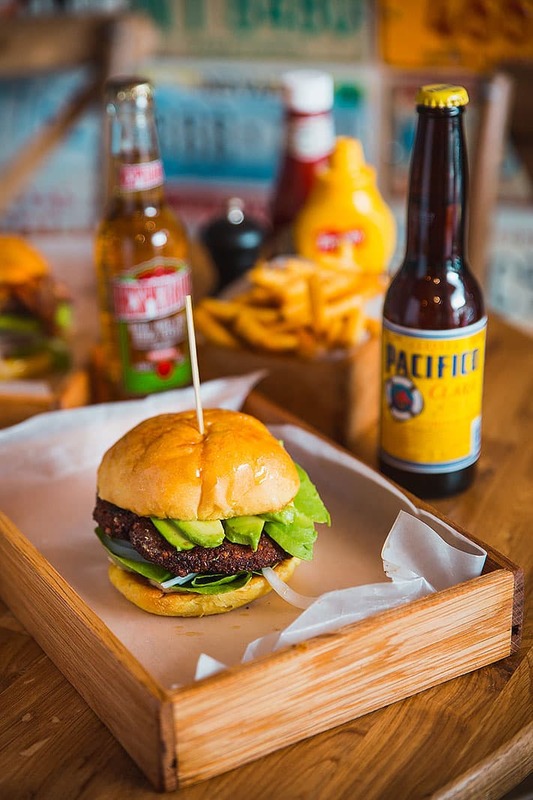 The extensive menu offers showstoppers such as the signature Gnarly Burger with cheddar, 'Spicy BBQ Bacon' and 'San Francisco' with guacamole - with Americana influences are apparent. 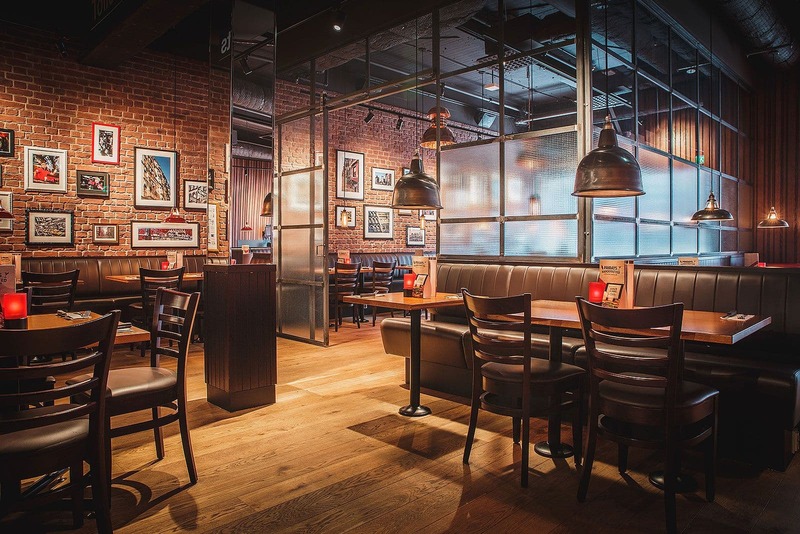 With its exciting flavour combinations, Prime Burger has wholeheartedly embraced the Americana trend. Featuring reasonably priced cheeseburgers, a California burger with avocado and cream cheese as well as pulled pork versions enhanced with truffle-mayonnaise. Not quite satiated? Their shakes are sublime. 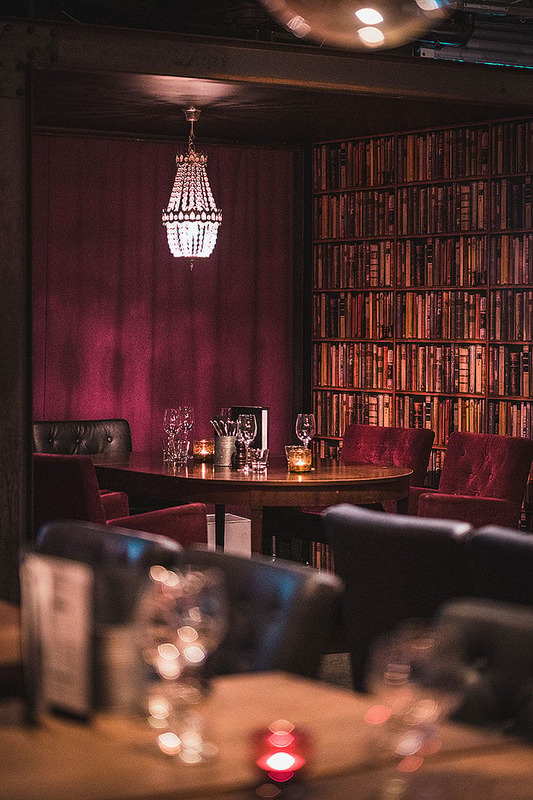 American sailor vibes and a well-stocked bar are the key elements of Miss Behave on Skeppsbrokajen. 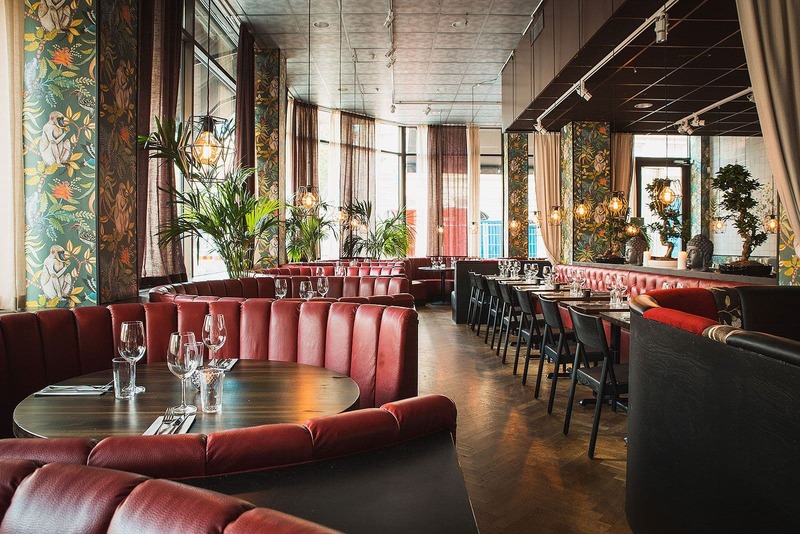 The menu consists of "sea- and junkfood royale" from the American east and west coasts, including a variety of burgers - from "Chili Cheese" to "Vegan Megan" - made according to Heston Blumenthal's method. 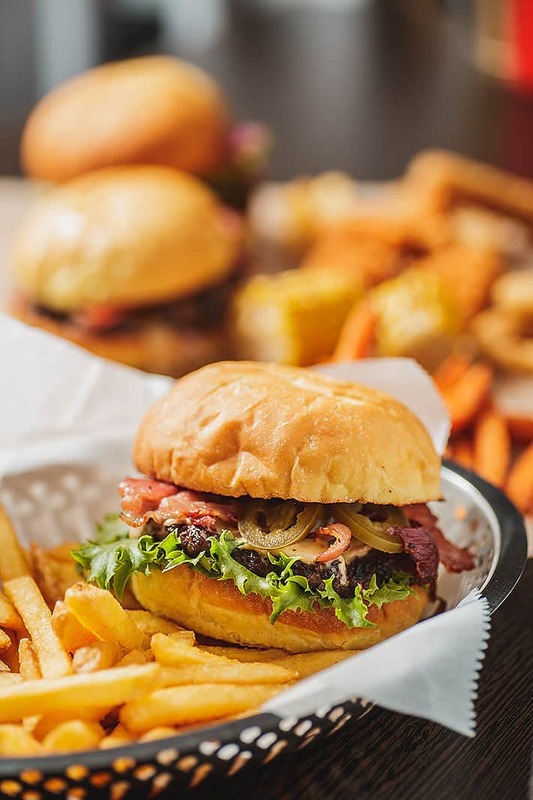 Flippin Burgers is regarded as Stockolm's, and maybe even the world's, best hamburger joint by many of its fans. 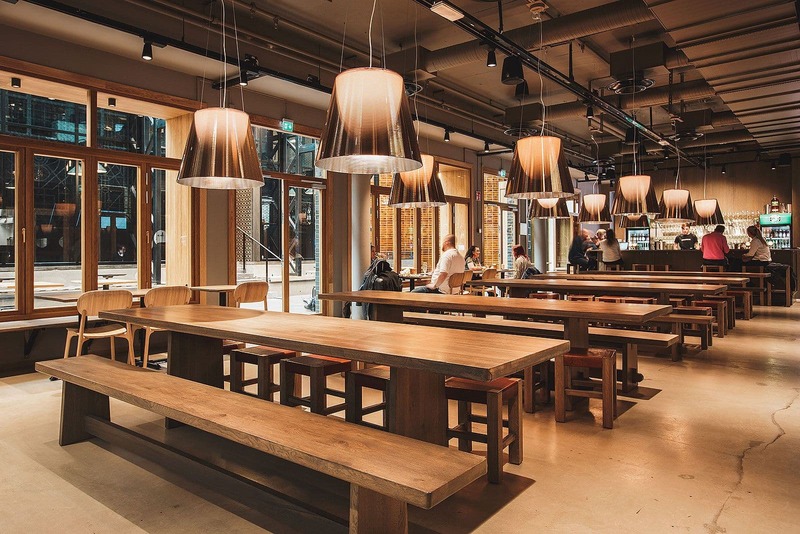 They recently opened Lådan, a large fastfood restaurant with a great bar, with a large selection of beer. Sliders are the menu's main feature, along with a couple of other fastfood dishes. 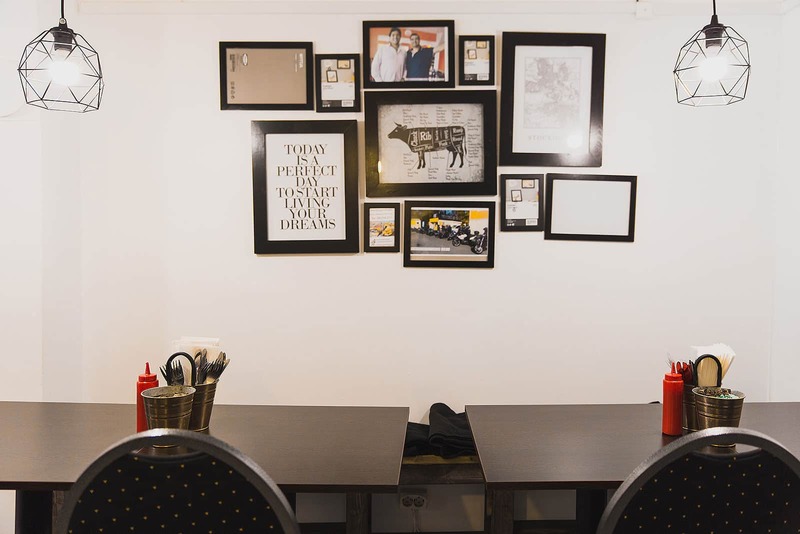 This family owned burger joint in Solna focuses on ambiance and delectable burgers made from organic and locally produced meat. 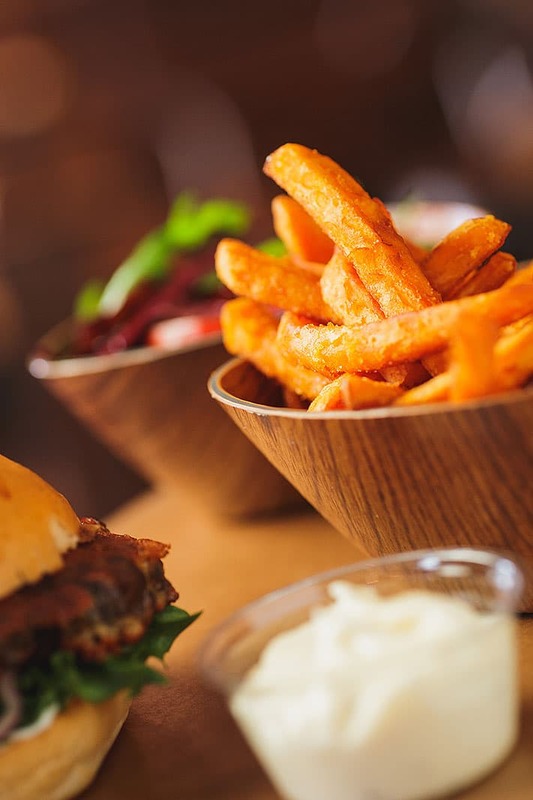 Add your choice of cheese-sprinkled fries; shoestring, 7mm or chips and a variety of sauces to be washed down with an indulgent milkshake or beer. 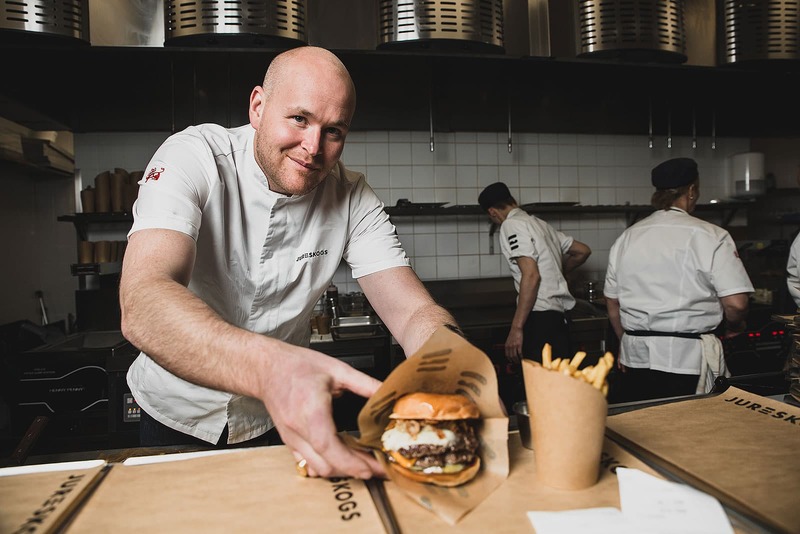 Rapper Petter's fast food joint in Hornstull serves a variety of medium rare burgers including bacon, triple cheese and a vegetarian option along with fries, milkshakes and of course the obligatory beer. 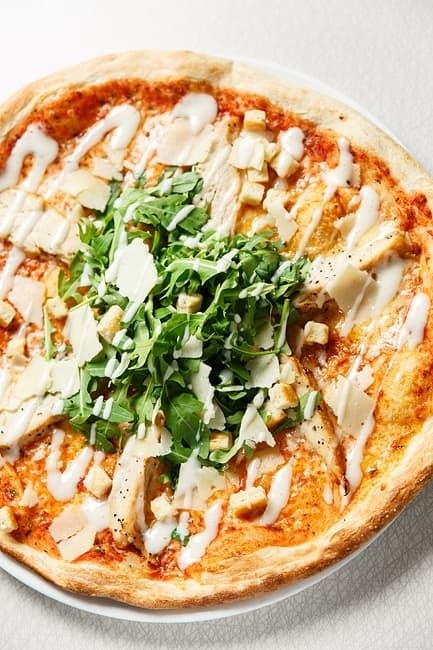 A simple yet tasty concept. 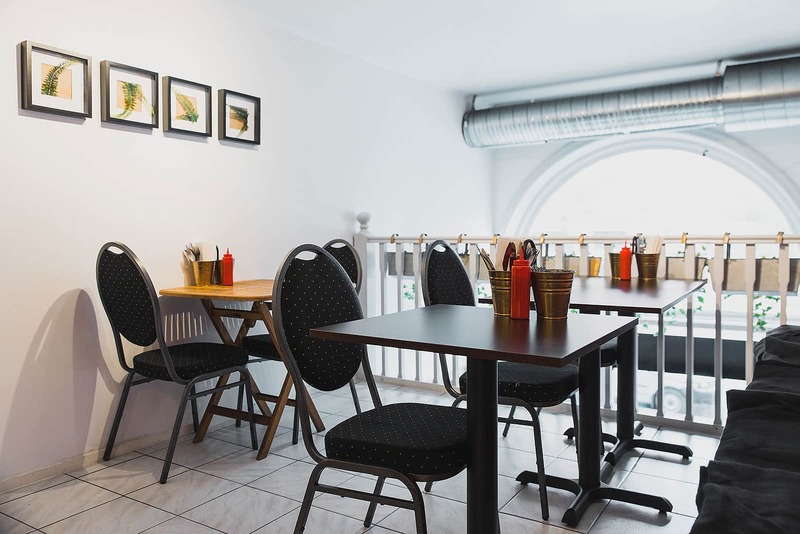 Our guide to the best hamburger joints in Stockholm is updated continuously. 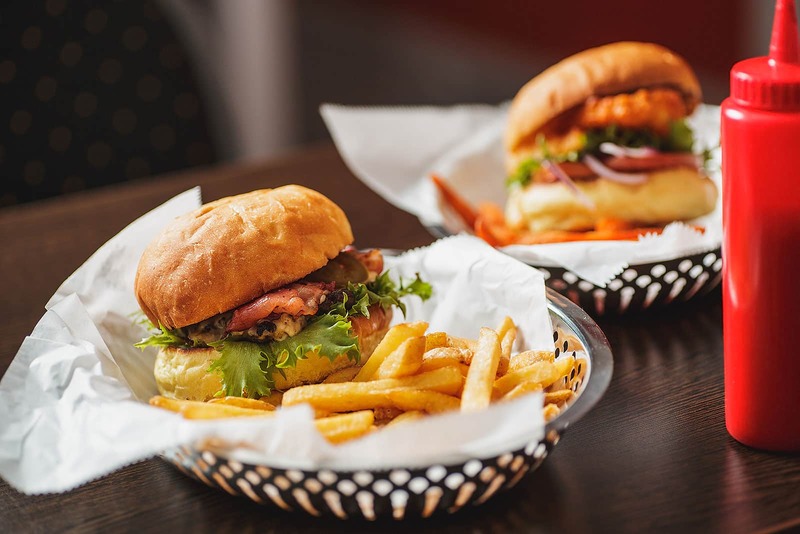 If you know of a great burger jont in Stockholm that we have not featured in our guide feel free to email us at hello@thatsup.se if you think we should add it. 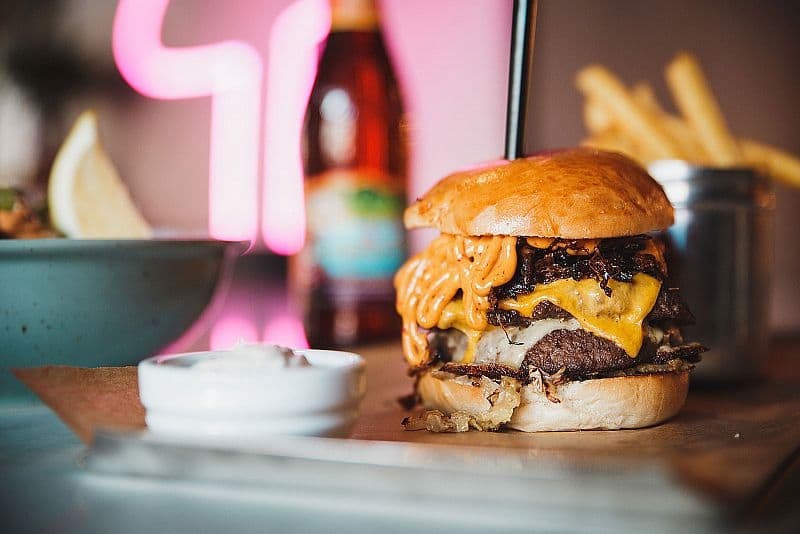 Please let us know if you see any mistakes in our guide to the best hamburgers joints in Stockholm.